What Kind Of Budget Do I Need To Get Started? How Do I Get Started Advertising On Facebook? 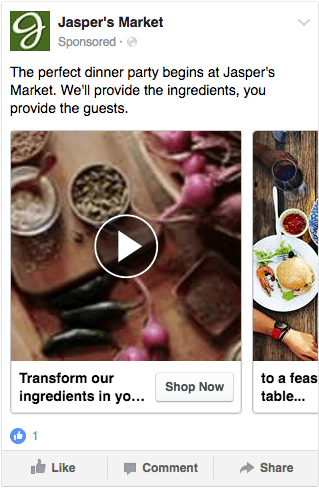 What Kind Of Ads Can You Run On Facebook? Where Do The Ads Show In Facebook? What Types Of Businesses Are Seeing Results On Facebook? Can I Target Specific People? What’s The Facebook Pixel And How Do I Use It Properly? Facebook is the largest social network in the world, hosting just over 1.13 billion daily active users and just over 1.7 billion monthly active users. For marketers who want to reach their audience in a meaningful way, ignoring Facebook is no longer an option. Roughly 1 out of every 7 people in the world is actively using the social network; even more surprising is 92% of monthly active users are accessing Facebook on their mobile phones to engage with their network wherever they go. There’s a huge opportunity for every marketer to reach potential customers, the question then is: how do you target all those users through your marketing efforts? Luckily, Facebook advertising platform offers hyper-focused targeting options, along with a variety of ad types to zero in on your potential customer base. 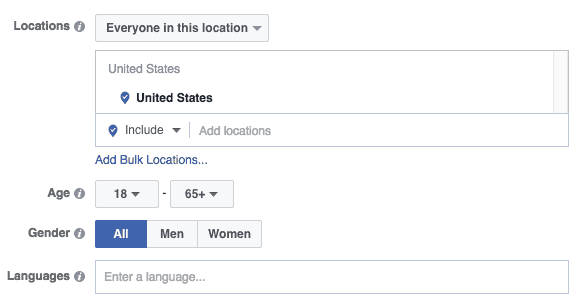 Facebook’s audience targeting is unique in that, not only can you specify distribution by location, gender, and age, you can also target by user interactions on the platform including likes, interests, relationship status, workplace, and education. In this guide, we’ll walk through Facebook Ads 101 to help you use the ad network to your advantage. This guide is geared towards the beginner looking for an introduction to leveraging the world’s largest social network to generate quality leads from their marketing efforts. Facebook ads allow you to reach your target audience on Facebook by a variety of methods: interests, demographics, location, previous buying behavior and more. Launching a new product for dogs? People who have purchased dog products are probably a good place to start. There are over a billion active users on Facebook so you can pretty much target people based on any interest. It can even be a small niche topic or industry. It’s safe to say that almost any market, whether it be business-to-consumer or business-to-business is going to be on Facebook and you’ll be able to reach them with Facebook Ads. The trickier part is how you target in order to reach them. I’m sure you’ve seen the option where you can boost a post. That’s probably the easiest way to get started with Facebook Ads. Boosted posts are considered ‘page post engagement’ ads, so the goal is to get more likes and shares. While this might be a good way to start advertising, it isn’t really the best way to use your marketing budget and usually isn’t in line with your overall strategy. Usually you want people to fill out a form or buy something, so just getting people to like and comment on your post doesn’t exactly doesn’t align with your goals. A common mistake I see is that people don’t have a product to sell or a way to make the money back that they’re spending. It’s crucial that you have a goal and strategy set up before you get started, and most importantly, that you have something to sell or a way to make the money back that you’re spending. You can start as small as $5 or $10 a day, which ends up being under $300 a month. Even with a budget that small, you can actually see great results and it’ll let you learn without it costing you too much. It’s perfectly normal, even for experts, to break even or lose money while you are figuring out the best way to reach the right audience. This will let you learn the platform and experiment with some of the features so you can understand what questions you need to be asking. Definitely start with a small budget (for you) so you can get your feet wet while you learn the ropes and get the hang of how things work. 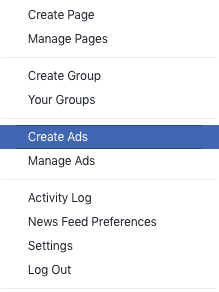 To get started advertising on Facebook you’ll need to create an ad account which allows you to use Facebook’s self-serve advertising platform where you place the ads yourself. You’ll need to add a payment method first (a credit card works fine). Then you can create a campaign (where you choose your objective), ad set (which holds your ads and tells those ads who to show them to). As soon as your ads are created and approved they will start running. There is an approval process when you create ads so you will have to wait for your ads to be approved by Facebook but for the most part it’s an automated system and I’ve seen it happen in as few as a few minutes. Sometimes it takes up to 24 hours or longer but it’s usually on the quicker side as long as you’re not targeting and any kind of controversial industries like health and wellness or making money online. 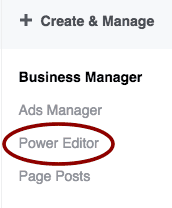 Even for beginners, I recommend using the power editor within Facebook because it will give you a few more features than the regular ads manager and sometimes they release new features there before they release it to the regular ads manager. I would just go ahead and get comfortable using it from the beginning because it’s not that much more difficult but it’s much more powerful. The most common one is the Image ad, which is where there is a static image that you’ll see along with a section for copy, headline and you have the option to have a call to action button as well. 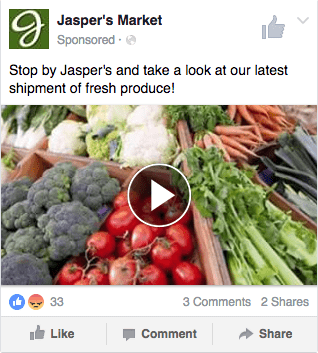 Video ads are similar to image ads but you show a video that is silenced just like other videos in the Facebook news feed so people have to click to hear it. One trick is to point to the screen and have text that says ‘click for sound’ or something along those lines to get people to engage and hear your message. Lead Gen ads allow you to collect name and email right from the ad. The user won’t have to type in their information, they’ll be able to just click a button and send it to you if you’re offering something they’re interested in. There are options to collect phone number, country, work email and more. One of Facebook’s newest features with Lead Gen ads allow you to retarget people whether they submitted your form or only opened it and didn’t submit. That’s a topic for a more advanced lesson. Where your ads can show depend on your campaign objective. For example, if you are running Lead Gen ads your options for placement are the mobile and desktop news feed. If you’re running a regular image ad, then you can have it show in both the mobile and desktop news feed, the sidebar, on Instagram and Facebook’s Audience Network. I recommend in almost all cases to just use newsfeed ads when getting started. You can test whether mobile or desktop works better for you. If you’re interested in advertising on Instagram I recommend creating ads specifically for Instagram because they have their own image dimensions as well as the fact that all traffic is mobile, the audience is different and there is usually a different “look” to the ads. Like I mentioned earlier, Facebook is great for almost every type of business. Both B2C and B2B work great on Facebook. Whether you’re a local pet store trying to just market in your town or you’re a national chain of hardware stores you can target people that will be interested in your product or service. Online business? You’re in the right place. Reach is how many people saw your ad. Impressions are how many times your ad was shown. Because someone can see your ad more than once, this number is almost always higher than reach. Frequency is the average number of times someone saw your ad. Clicks are how many times people have clicked on your ad. This seems straightforward but will include clicks on the share or like button so it’s really important that you when you’re reporting on your ads that you choose the ‘clicks to website’ column. Average CPC (Cost-Per-Click) is the average amount that you pay when someone clicks on your ad. CTR (Click-Through-Rate) Percentage is the rate that people click on your ad compared to how many Impressions were served – or clicks / impressions x 100. There are a lot of different metrics and stats that you can report on with Facebook ads, which can get overwhelming at first. Your most important metrics should be based on your campaign objective. If your goal is to send people to one of your blog posts to warm them up and get them engaged with your brand, then your main metric should be ‘clicks to website’. If your goal is to have people sign up for a webinar, your main objective should be webinar signup conversions. Other stats like cost-per-click, impressions or click-through rate are really secondary to your main goal. Yes, they’re important and can help you improve your ad performance but I wouldn’t worry about them over what your main campaign objective is. 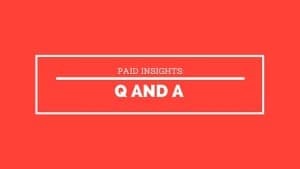 Defining success with Facebook ads is a matter of understanding how much you spend vs. how much you make from those ads. Example: if you spend $10 on Facebook ads and you make $100 your return on ad spend (ROAS) would be one thousand percent or 10x. If you’re generating leads it can be a little trickier. You’ll have to estimate how often you close those leads in order to better understand your ROI. Lead Gen example: if you generate 10 leads for $100 that would be $10 per lead. If you close 20% of those leads that would mean that you spent $100 for two sales. If those sales are at least $50 you will break even on your ad spend. With online advertising being as targeted as possible is critical to not only getting the best performance, but the ad platforms will reward you by showing your ads more often and they will give you a discount on how much you pay if your targeted audience is showing that they liked your ad by clicking on it, sharing it and having generally positive engagement metrics. Facebook has a relevance score which is a number from 1 to 10 that is a relative metric of how targeted your ads are. It factors in things like CTR, shares, likes, as well as how much people have hidden or blocked your ad because they thought it wasn’t relevant or they didn’t like what you were offering. The higher the number the more your ad will be shown and the less you’ll pay per click. It usually takes about 500 impressions for Facebook to give you a relevance score for your ad. You’ll see it at the ad level and you should try to shoot for a minimum of 6 but don’t be discouraged if you’re below that to begin with. It’s usually just a sign that you need to more narrowly target your audience. Unless you’re one of the Fortune 500 your goal is almost always to get people to take an action and not a pure branding play. You’re going to want that phone to ring, to make a sale or to get leads. Your goal should be to increase your click-through and conversion rates faster than you raise impressions. You can’t target any one person but you can target pages that are run by popular people and are in the same industry or niche as yours. This is a great way to reach people who are likely interested in your product or service. 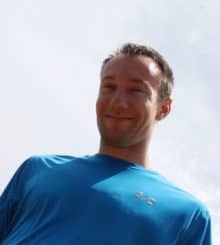 For example, I might target Pat Flynn who runs Smart Passive Income because he teaches people how to start and grow a business online so if I wanted to reach a similar audience we might have a lot of similarities in our markets. If you target industry experts or professionals, you’ll want to be careful to not target the largest names in the industry. If you sell golf training equipment, you probably don’t want to target Tiger Woods because he is “bigger” than the golf industry so people who like him might not be serious about golf. There a couple other ways you can target on Facebook that are really powerful because you can reach audiences that are already aware of you or already on your email list. The first is that you can target your Facebook fans – the people have already liked your Facebook business page. Second, you can target people who have visited your website, or even more specifically, you can target people who taken or not taken the desired action on your website. For example, you could target people who have filled out your lead form to try to upsell them. You could also target people who landed on your squeeze page but didn’t land on your thank you page which means you could remarket to them to try to get them to take your desired action (like filling out your form). You can also upload an email list and Facebook will match those email addresses with the email address used to sign up for Facebook. You can upload your entire email list or if you have a segmented list of people who have shown interest in a certain category or product you could upload that list and remind them to buy with Facebook ads. No matter how you target your audiences, you can (and should) exclude an audience of people who have converted or taken your desired action so that you don’t continue showing ads to them. I highly recommend doing this for all of your ads. You can basically think of the Facebook Pixel like your Google Analytics code. 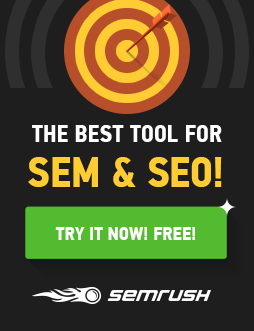 It’ll go on every page of your website and track visitors similar to Analytics. Usually you’ll put it in your theme’s header so that it’s a loaded on every page. Facebook has recently updated the pixel so that you don’t need to create separate conversion tracking pixels. Everything is done from one pixel. The pixel allows you to create custom audiences of people who visited your website so that you can remarket to them and it also allows you to create conversions on pages like your checkout or thank you page so that you can track the effectiveness of your ads. Setting up the pixel should be the first thing you do before you even create an ad. You want to make sure that everything is tracking properly and that Facebook is receiving data from it. Without it, Facebook won’t be able to optimize for conversions and you won’t be able to tell if your ads are working. One tip is to download the Facebook pixel helper which is a chrome add-on. This will tell you if there are any errors with your Facebook pixel and show you what has loaded from it. You can find it at https://developers.facebook.com/docs/facebook-pixel/pixel-helper. The easiest way to setup conversion tracking is to create custom conversions from the ads manager. Facebook will ask you to enter the part of your url that counts as a conversion so for example if your url ends in /thanks then you would add that to the rule that says URL contains. You’ll then be asked to choose a category which can range from purchase to lead to view content. For this example let’s say we’re just collecting a name and email address we would select lead and click next. The next screen you’ll have the option to enter a name as well as set a conversion value, which is typically a dollar amount that the conversion is worth. If you have an e-commerce store, a lot of the platforms will let you dynamically or automatically track conversions based on how much that sale was so there’s a few different ways to set it up depending on who hosts the e-commerce platform. If you use Shopify when you connect your Facebook pixel ID they will automatically track 6 different events including viewcontent (product and collection), add to cart, initiate checkout, add payment info, purchase and search.